One must be cautious when writing about religious leaders, as they have mastered the art of speaking to an audience. Humans have a penchant for self-deception and self-justification; when mixed with religious language manipulation is easily manufactured, even if unintentionally advanced. People who seek to represent God may be the best of all possible men; they may also be among the most devilish. With this caveat I would like to introduce a man with a remarkable history, Sheikh Osama al-Qusi. There is a third category of religious leader, that of the innocent. With a heart given to the study of God, such a man may be naïve in the ways of the world. It is in this light I experienced Sheikh al-Qusi, following the lead of his testimony. The proper rendering of his life may be possible through further experience, but is known ultimately only to God. Sheikh al-Qusi was born in 1954 in Cairo, after his father moved from their family home in Qusa, from which his name is derived, a village thirty kilometers outside of Luxor. He enrolled in the faculty of medicine at Ain Shams University, but instead of diligently pursuing his studies, he became attracted to the religious life of the campus. These were the 1970s, and Egypt was undergoing a religious indoctrination following the ascent of Anwar al-Sadat to the presidency. In an effort to solidify his policy to open up Egypt to Western capitalism, he appealed to religion to counter the socialist ideology of his predecessor, Gamal Abdel Nasser. Sadat gave wide space for Islamists to operate, and one of their chief fields was the university campus. Osama al-Qusi was swept up in their enthusiasm. He had never seen this type of Muslim before, one so dedicated and public in his faith. Their claim of persecution added to their aura, as many spoke of previous imprisonments under Nasser. Furthermore, as some of their literature remained banned, the nature of a young man almost always makes the forbidden attractive. The works of Sayyid Qutb were handwritten on notes of paper and passed around campus. His sermons on cassette tape were distributed likewise. Osama al-Qusi began to be radicalized, without even knowing it. Sheikh al-Qusi makes the case that to him at this time, these campus evangelists were simply Muslims, albeit abnormally active in their faith. He later learned that they belonged to ‘groups’, and these groups were many. Among them was the Muslim Brotherhood, but to these were added others like Islamic Jihad and other more militant associations, but all of which were political. In time he began to sense something not quite right, especially given the multiplicity of groups. If all of these claimed to be Muslims, dedicated more than the average Egyptian, which group represented Islam correctly? By now Osama al-Qusi had lost almost all interest in medicine, wishing to discover correct religion. In 1978 he decided to take the umra pilgrimage to Mecca, but instead of staying the permitted two weeks or so, overstayed his visa and studied Islam. This was not in any of the approved universities, however; rather, he moved from mosque to mosque under individual Islamic scholars. He lived the simplest of lives, working odd jobs just to make enough money to survive. He poured himself into the study of Islamic texts, especially the hadith, and eventually found himself in the company of a certain group of students, likewise dedicated. By this time Osama al-Qusi came to believe that all groupings of Muslims were of deviant Islamic practice. He became convinced that Islam was practiced best in devout imitation of Muhammad and his early companions, the followers of these companions, and those who came after them. These three generations of Muslims knew Islam best, recorded the traditions as found in the hadith, and crafted the sharia law schools still foundational today. This is the core belief of what is known as Salafism, though in Saudi Arabia, it is interpreted largely through a Wahabist lens. The students surrounding al-Qusi, however, had a different lens. These were influenced by the idea of the coming mehdi, a messiah-like figure who would appear at the end of the world. They were led by a man named Juhayman al-Utaybi, who would later lead his group to storm the Ka’aba of Mecca, the holy sanctuary visited by millions of Muslims each year. In 1979 his siege was violently put down, though not before shaking the Muslim world through this provocative action. Osama al-Qusi was not among them, and states he knew nothing of their political/eschatological conspiracy. He did study with them of their unique interpretations, and wondered if their faith was too political, or if they had grievances with the House of Saud. In any case, he was expelled from Saudi Arabia a few months before their campaign began. At that time the students attracted the attention of the authorities, who arrested them en masse. When the Grand Mufti, Sheikh Abdul Aziz ibn al-Baz, examined them after a month and a half in prison, he believed them to be harmless, and allowed them to be released. Osama al-Qusi, however, as a foreigner was forced back to Egypt as he had no legal residence permit. His personal teacher, though not a ringleader of the group, was also fingered as a foreigner, having come from Yemen. This teacher was Sheikh Muqbil ibn Hadi al-Wada’i. Though a foreigner, he did possess a legal residence permit, having enrolled in the Islamic University of Medina obtaining a degree in the science of hadith, and in pursuit of his Masters degree. Upon intervention of Sheikh ibn al-Baz, he was allowed time to complete his Masters, passing with high marks, and then immediately returned to his native country. Back in Egypt, Osama al-Qusi thought only of returning to his religious studies under the tutelage of Sheikh Muqbil. Yet he desired also to marry, and left for Yemen with his new wife, praising God that he did not wind up involved in the scandal of the Ka’aba. Little did he know he was leaving just in time to avoid another. Following his marriage his family was disappointed that he was not returning to his medical studies. Osama al-Qusi, however, was still quite extremist in his thought. Though he had learned to dismiss the varieties of Muslim groups as contrary to Islamic teaching, through his uncle his name was passed on as one qualified to join in the band of Abdullah al-Samawi, a lesser influential group dedicated to greater Islamization of society. He listened to the sermons of Abdel Hamid al-Kishk and Hafez Salama, and still considered strongly the ideas of Sayyid Qutb. For Qutb, the concept of a nation was paganism, and the flag of a nation was an idol. Furthermore, given the mixing of sexes university study was impossible, and besides, al-Qusi’s only interest was religion. During that time female relatives from his wife’s family were approached by two suitors from the army. Osama al-Qusi found them to be pleasant people, but they discussed at length whether or not service in the military was fitting for a Muslim. In the end, he convinced one to discharge, while the other remained. Shortly thereafter, both became his in-laws. In 1979 Osama al-Qusi left for Yemen, found Sheikh Muqbil, and settled into the very simplistic life of a devoted Islamic student. Sheikh Muqbil had several students, for whom he provided out of his own means. Yemen was a very poor country, and the disciples lived with their teacher in a mud brick compound with a garden. Sheikh Muqbil received a small stipend for his teaching from Saudi Arabia. He and his students also received in kind gifts for teaching the village children. Teaching during the day, learning at night, eating from the garden, Osama al-Qusi, his wife, and all lived in near subsistence. From 1979 to 1985 Osama al-Qusi remained in Yemen, never once returning to Egypt. He arrived on a student visa, which permitted his stay for one year, but again overstayed due to the joy of his religious learning. In 1981, however, he learned of another reason why it might be best to stay put. In May of that year President Sadat conducted widespread arrests of his political opponents. Over 1500 people were arrested for being part of what were deemed ‘treasonous’ groups. These came from all sectors of society, and included intellectuals such as Mohamed Hassanain Haykal. The vast majority, though, were Islamists, and Osama al-Qusi was informed his name was on the list, due to his nominal association with Abdullah al-Samawi. The police visited his parents’ home, but they convinced them he was in Yemen. They also urged him to stay, for the time being. Five months later Osama al-Qusi learned that the sweep was not wide enough. President Sadat was assassinated during a military parade; listening to the news on a simple radio, he was shocked to hear the names of his assailants. Khaled Ahmed Shawki al-Islamboly, the chief assassin, was the husband of his wife’s cousin and the one who remained in the army, while Abdel Hamid Abdel Salam Abdel-Al Ali was the one he convinced to leave. Osama al-Qusi asked God’s mercy on Sadat, who had now reaped the fruit of his error in letting loose the Islamist current earlier in his presidency. He also praised God that he was kept from involvement in such error. Meanwhile in Yemen, the group of Sheikh Muqbil began running afoul of the local Muslim Brotherhood. To help ease financial pressures the sheikh tried to gain employment for his students in the nearby universities. This effort, however, was denied administratively by Brotherhood members who occupied key posts. Osama al-Qusi explained that Yemen depends on Saudi Arabia for substantial economic support, and would naturally lean toward the Salafi/Wahabi interpretation of Islam, as opposed to the politics of the Muslim Brotherhood. Nevertheless, as the Brotherhood does elsewhere, members seek each other out, trying to infiltrate key positions in society. They seek to rule; and this, not for the good of the nation, but for their own good. Having established themselves in university administration, the Muslim Brotherhood frustrated Sheikh Muqbil’s attempts to establish his students on firm financial footing. Soon thereafter came another opportunity, though far less suitable to the desires of Osama al-Qusi, devoted disciple. Sheikh Muqbil’s reputation was growing, and from thirty kilometers away came leaders from a nearby village asking for a teacher. Three times Osama al-Qusi refused his sheikh, but in the end he acceded. He knew the challenges Sheikh Muqbil endured in providing for his disciples, but lamented the distance that would be between them. In those days due to Yemen’s poor infrastructure, the thirty kilometers meant an hour and a half journey by car. During this period Osama al-Qusi finally succeeded in gaining basic financial independence, though through a circuitous route. After getting established in the village Sheikh Muqbil introduced him to the Yemen Minister of Islamic Endowments, who appointed him as village imam and provided him with a salary. Sheikh Muqbil would return on regular visits, but eventually, Sheikh Osama al-Qusi became beloved by the people of his village. This was fortunate, as the Muslim Brotherhood proceeded to cause more trouble. Though unable to cancel his contract with the ministry, they interfered and forced his transfer to another village, much further away. For Sheikh Osama, he was loathe to be at such distance from his teacher, which would make his itinerant visits impossible. Furthermore, the villagers came to love their sheikh, and did not want him to leave. Sheikh Osama therefore refused this assignment, which led to the loss of his contract with the ministry. The villagers agreed to provide for their sheikh, but this meant a return to the simple living off the land which he had grown accustomed to on first arrival. Soon thereafter, however, the village mayor was able to make amends. He traveled to visit the Grand Mufti of Saudi Arabia, Sheikh ibn al-Baz, and arranged for Sheikh Osama to receive a stipend directly from him. It is admitted that the competition between Salafis and the Muslim Brotherhood played a role in the mufti’s support. Sheikh Osama’s life continued so on until 1985. Though he loved his life and learning, the absence from Egypt was especially difficult on his wife. Towards the end her psychological difficulties resulted in the semi-paralysis of half her face. Hoping that the political difficulties in Egypt had subsided, they returned home. Passing through Suez Sheikh Osama was interrogated at the police station, but was allowed to proceed without incident. He settled with his wife in the Ain Shams area of Cairo, wishing to stay in the path of religion but wishing also to avoid regular employment which might curtail his time. Before too long he agreed with the imam of the nearest mosque to provide evening lessons, and as his reputation spread, he began teaching in more and more locations. In terms of finance, however, life was more complicated. The situation was stable since he saved most of the money he had earned in Yemen. This he used to begin small projects – he bought a taxi, he bought a microbus, and was a managing partner in a religious publishing house – but none succeeded. Sheikh Osama readily admits he is not a businessman, nor did anyone in his family growing up have any business sense; they were all scholars. He managed as best he could and provided for his family, but there was little money in religion. Certainly this was true of the religion he espoused. Upon his return to Egypt he sought out others of the Salafi trend, but found even the word ‘Salafi’ was not widely known. Only in Alexandria was there a following, but he found these too closely related to the Muslim Brotherhood. They called themselves Salafis since Sayyid Qutb had used the word, as indeed the Brotherhood does as well. Yet while they claim to be Salafi they also admit they follow the path of the Brotherhood. Sheikh Osama did not find a home with them. Neither did he find common cause with other Muslim trends in Egypt, and grew increasingly frustrated. By 1996, though he was teaching regularly about Salafism in the mosques of Ain Shams, he felt isolated and alone in society. Everywhere he looked was bid’a – innovation – which went against the practices of the first three generations of Muslims. He feared especially for his children, finding their Islamic education in schools to be insufficient. Eventually he made the decision to withdraw entirely. With basic savings from his earlier projects Sheikh Osama bought a small farm on the Cairo-Alexandria desert road, and purposed to live off the land with his family, homeschooling his children. He maintained his weekend teaching in Ain Shams, but otherwise lived in seclusion. Like all his business enterprises, the farm eventually failed. It was this crisis that helped make Sheikh Osama into the man he is today. He realized he had been living his whole life ‘in the book’. Now, he knew he must live life in light of reality, ‘by the book’. Religion is life, and God’s ways must be known. Yet these ideals cannot sustain life on their own; they must be lived out, taught, and practiced, so that society is transformed to enable life by the ideal. Cursing its failures to reach this goal, however, only lead to extremism. Sheikh Osama came to realize that as he preached the Salafi way, he must also preach against the extremism practices by so many of his community. Extremism is based on hatred and rejection of the other. Its natural extension is terrorism, which is an attack upon the other, either in word or deed. Pursuing that path, Sheikh Osama nearly lost his family. Oddly enough, when abandoning the path, he wound up in prison for the second time. He sold the farm and moved back to Ain Shams, with some funds but needing work. He immediately began teaching in earnest, and associated himself with an effort to build a new mosque in Ain Shams. The land upon which the mosque would be built was zoned agricultural, however, and a resident of the community raised issue against it. Ain Shams at that time was known as an area deeply ingrained in extremist Islamic thought. He, however, enjoyed a good reputation with the authorities, given that he did not preach against the government. All the same, Egypt was ruled by the emergency law, and once arrested over the illegal mosque construction, he was bound for prison. The policemen responsible apologized, and they even made it possible for him to receive favorable reviews within prison, so that he was able to leave after only two months. He personally was not mistreated, but admits the horrible condition many prisoners endured. Yet upon his release his reputation in the area suffered a minor blow, as he was deemed to have received preferential treatment. He became known in the area, falsely he claims, as belonging to the hated state security apparatus. Yet among Salafi tendencies his reputation continued to grow, and was about to explode, stumbling upon the best opportunity he had to date. Finally, he could earn money through religion. Proving the corruption endemic to Egypt, the ‘agricultural’ land purposed for the mosque was eventually turned into a Suzanne Mubarak Public Library. He, however, became established at another mosque, becoming its imam. There was no salary from the Ministry of Islamic Endowments, however, as the Mohamedian Guidance Mosque, as it was named, was not registered. Today, after lengthy and ongoing campaigns, the Ministry of Islamic Endowments claims 95% of all Egyptian mosques are registered and under its supervision. This has been done in response to extremism, which has issued so frequently from small community mosques beyond the reach of the more moderate government license. Sheikh al-Qusi’s mosque remains unregistered, but the government gave greater space to Salafi mosques, as they tended to be nonpolitical, not threatening the legitimacy of the state. Yet this mosque, through Sheikh al-Qusi, began to attract several foreign Muslims. One of these was a Canadian of Jamaican descent, who invited Sheikh Osama to preach for one week at an Islamic conference in his home country. He did, and as fame often leads to fame, he began to receive further invitations, including in the US, Europe, and the UK. It was not unusual for him to receive $1000 for a week of work. From 1998-2001, he made over forty such trips. 2001, of course, is the year of September 11, and though Sheikh al-Qusi does not believe his name to be on any blacklists, he deemed it wise to cease his international travel. This decision was confirmed as he watched numbers of Muslims held in detention in Guantanamo Bay, and furthermore when he learned that the ‘shoe bomber’ Richard Reid, attended one of the mosques in Britain at which he had delivered lectures. Since 2001, Sheikh Osama has remained in Egypt. Also, in 2001, his teacher Sheikh Muqbil passed away. Today, Sheikh Muqbil is considered the founders of one of the most influential Salafi schools in the world, located in Dammaj, Yemen, not far from the Saudi border. Sheikh Muqbil studied directly under Sheikh Mohamed ibn al-Uthaymeen, and attended lectures of Sheikh ibn al-Baz and Sheikh al-Albani. These three are considered the chief Salafi scholars of contemporary Islam. Sheikh Muqbil has been clear in rejecting political Islam such as of the Muslim Brotherhood, as well as terrorism, such as adopted by al-Qaeda. He did receive envoys from Osama bin Laden, seeking his help in contacting the tribal leaders of Yemen to purchase weapons and spread influence. He rejected them, however, and told them never to visit him again, labeling bin Laden as the head of all religious ignorance. Nevertheless, several detainees in Guantanamo Bay are held specifically due to their association with Sheikh Muqbil, who was deemed to be a supporter of the Taliban and armed jihad. Sheikh Osama, meanwhile, needed to find another source of income. 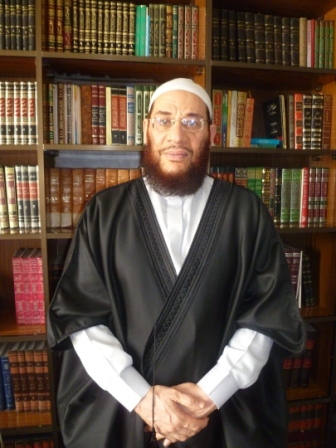 From 2001-2005, he relied on donations from wealthy Egyptian businessmen who supported his Salafi preaching. Eventually, however, he found that the reception of money often brought along with it additional pressures. On one occasion a businessman offered to build Sheikh Osama a mosque, provided that he would always come and give lessons. This was easy to agree with, as he regularly provided lessons in his itinerant ministry. Sheikh Osama enjoyed the support of this businessman for a good while, up until the interference of state security demanded he stop moving about and remain in one mosque only. The businessman felt betrayed, but Sheikh Osama argued there was nothing he could do. Their relationship deteriorated thereafter. Such experiences convinced Sheikh Osama to once more seek to rely on himself for income. Re-entering the world more and more, he decided to return to university to complete his medical studies and in 2008 received his degree. He is now a medical practitioner, though he does not make much money from this field. Instead, he offers free medical care from his mosque two days a week, and hopes this may develop eventually a separate paid clientele. He has also begun studying for a psychology degree, but closer to his heart is his religious education – now pursued through the High Institute of Islamic Studies run by the Ministry of Higher Education. Upon graduation he will receive a diploma, which will be the first official certificate in religion he has ever possessed. Sheikh Osama has currently become newsworthy for the promotion of his relatively liberal Salafi viewpoints. While many Islamists are calling for an Islamic state, Sheikh Osama believes that anyone, even a Copt, should be able to become president, as it is an administrative position, not a spiritual one. Though he maintains the long beard characteristic of Salafis, he now feels free to wear contemporary clothing, eschewing the long, white robe donned by most of his co-religionists. He speaks frequently on Arabic satellite news programs, though apart from al-Arabiya and ART, who gave him $100, they do not pay anything. The big money in religion comes from traditional Salafi satellite programming, such as al-Rahma and al-Nas, from which Egypt’s major Salafi preachers have become known. Sheikh Osama has no place here, however, as his line of thought differs considerably from what he believes to be the extremism of these contemporaries. Sheikh Osama now lives in a comfortable though not luxurious apartment in Nasr City, a middle-to-upper class neighborhood of Cairo, not far from one of the largest malls in Egypt, City Stars. He continues to follow the way of religion, but has done well enough with his money earned to carve out an existence honorable to his family. In all interactions with him, he appears to be an honorable man. At the same time, so many questions surround him. How is it possible to have been in association with so many violent, extremist individuals, and yet maintain innocence about knowing their true intentions? Sheikh Osama does admit his previous extremism, reformed gradually over many years. Yet could he possibly have been ignorant of all he professes? Furthermore, though he was completely open about the sources of his money at each stage in his life, short of opening up his checkbook, can it be believed he provided for his family over the past thirty years on failed businesses, in addition to greater sums earned in Yemen and through his travels? Currently, what is to be made of Sheikh Osama’s Salafi liberalism? Is it a conscious decision in light of Egypt’s changing times? Or could it be an effort to put a modern, acceptable face on a still ultraconservative ideology? Or, by the hard edge of experience and reality has he truly experienced a personal reformation? It is impossible to say at this point in my relationship with him, which has been thoroughly enjoyed. I currently lean toward the sincerity of his testimony, which was shared with openness and humility. Above all, he struck me as kind. This text is not the place to examine the Salafi question, its impact on Egypt, or its stance toward Christians. It is not to examine if wholesale reform can come to the movement, if this is necessary, or how it is to be achieved. Perhaps some of these topics will be addressed through subsequent interviews. One thing that was remarkable from Sheikh Osama’s testimony, however, was the impact of family. The anecdote of his own was given above, and the share it had in moving him away from extremism. Yet he also mentioned his father and mother, with their Upper Egyptian values of acceptance and morality. However much he was indoctrinated in extremist theology, and however much he espouses Salafism today, he notes he was inoculated against violence through proper, traditional upbringing. Societies are liable to change, for better or for worse. There is a sentiment current in Egypt these days that may tend to give rise to extremism, in any number of directions. The best antidote to protect Egypt may simply be to be Egyptian. These remain the vast majority; may all ongoing political developments give rise to their great voice. May they be the ones to govern Egypt. Click here for an interview with al-Qusi: On the Caliphate, Conversion, and Brushing your Teeth, and here for his explanation on the science of Islamic traditions.